The night launch took place without a hiccup, on Monday, September 10th, SpaceX's Falcon 9 successfully lifted off at 12:45 a.m. EDT from Space Launch Complex 40 (SLC-40) at Cape Canaveral Air Force Station, Florida carrying the Telstar 18 VANTAGE satellite to a Geostationary Transfer Orbit (GTO). 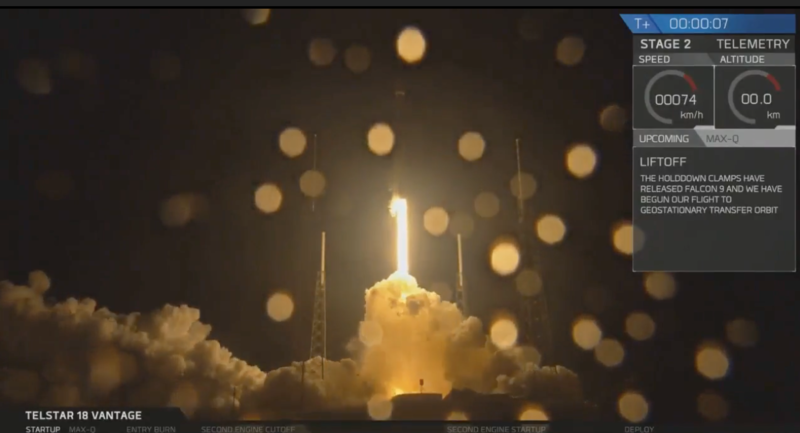 The satellite was deployed approximately 32 minutes after liftoff. Telstar 18 VANTAGE is the third high throughput satellite (HTS) in Telesat’s global fleet and the first with coverage over the Asia Pacific region. Its innovative payloads will provide Telesat’s customers with a new level of performance and value to serve growing satellite broadband requirements on land, at sea and in the air. Built by SSL, a Maxar Technologies Company, Telstar 18 VANTAGE will replace and expand on the capabilities of Telesat’s Telstar 18 satellite through its extensive C-band capacity over Asia, its Ku-band HTS spots over Indonesia and Malaysia, and its five additional Ku-band beams. Located at 138 degrees East, the coverage of Telesat’s newest satellite reaches across Asia all the way to Hawaii — in both C and Ku-bands — enabling direct connectivity between any point in Asia and the Americas. Its Ku-band payloads of HTS spot beams and focused regional beams will provide customers operating in Southeast Asia, Mongolia, Australia and New Zealand, and the North Pacific Ocean with greater choice and flexibility to serve today’s bandwidth intensive applications. Telesat VANTAGE satellites combine focused regional beams with powerful HTS spot beams enabling users to maximize throughput and spectral efficiency while optimizing network performance. 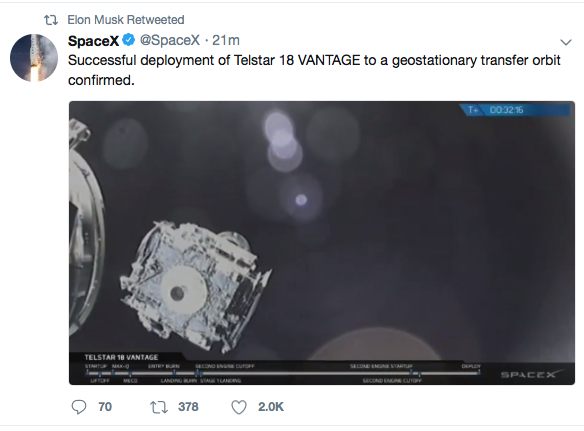 By implementing these advances on Telstar 18 VANTAGE, Telesat customers across the Asia Pacific region will have a competitive edge in meeting growing demand for satellite broadband from mobility markets — both aero and maritime, enterprise network operators and from leading telecom companies. 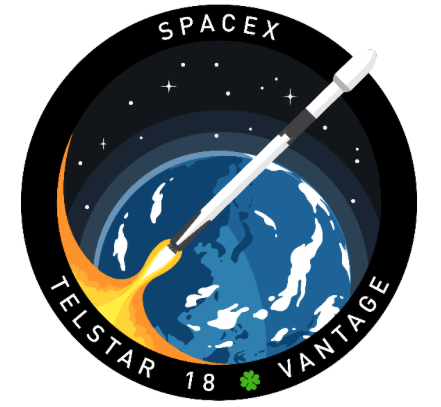 Telstar 18 VANTAGE is expected to enter commercial service this fall after it has completed orbit raising and on-orbit testing. The satellite has a 15-year design life.